The acclaimed Haitian author chooses five must-reads from the riches of Haitian literature – including 19th-century poems by a ruler's daughter. 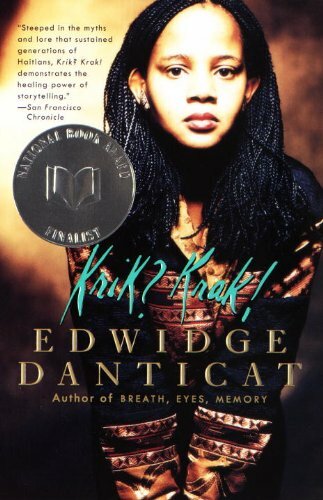 The author Edwidge Danticat was born in Haiti. Her many books have won prestigious literary awards and been selected by the Oprah Book Club. 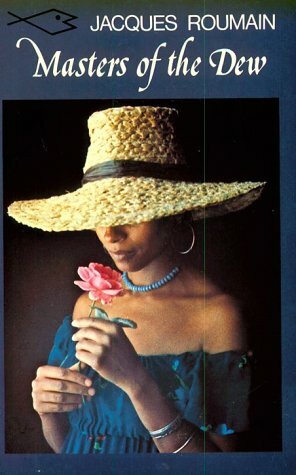 She is the editor of The Butterfly’s Way: Voices from the Haitian Diaspora in the United States. 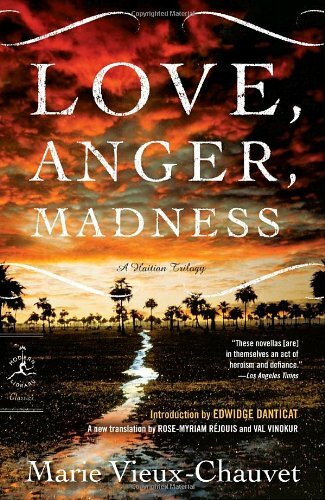 You wrote the introduction to Marie Vieux-Chauvet’s Love, Anger, Madness – why is this such an important book for you? 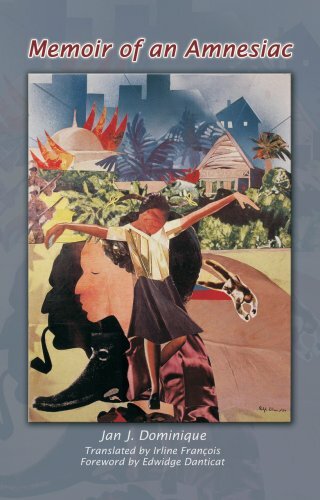 Marie Vieux-Chauvet is for me one of Haiti’s iconic female writers. She wrote primarily during the Duvalier dictatorship and her personal story is a powerful story of the choices writers during that time were forced to make. Her book was printed and ready to go when the publication was stopped in France because it would put her family in Haiti in danger. So she really had to choose between the safety of her family and her book. 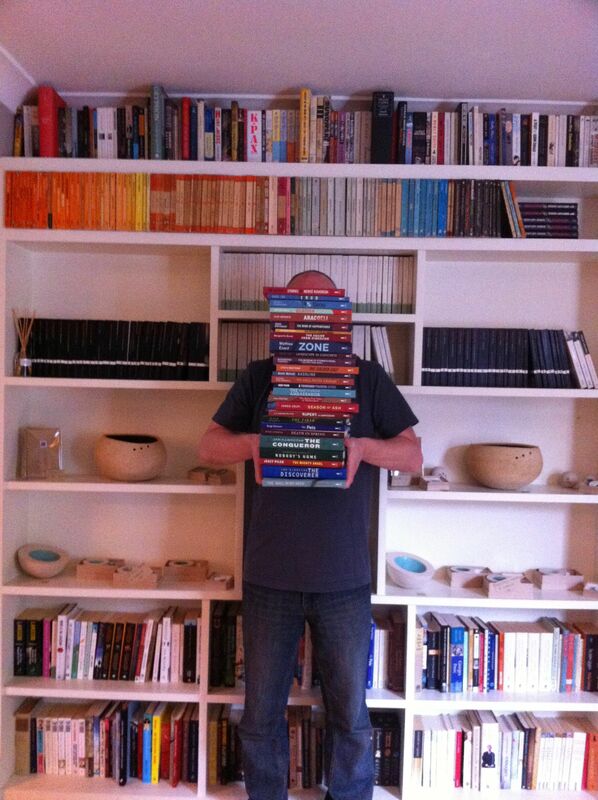 Why did people want to stop the book being published? The book is a beautiful trilogy, three sets of stories of people who each in their own way are taking a stand against the dictatorship. It isn’t polemical at all but that alone was enough to make the dictatorship want to stop it from being published. The first story is all about one woman who keeps a journal and talks about her own personal pain and also the pain of her environment. She looks at what is going on with people around her – the beggars and the brutal henchmen in the town. In the second story there is a woman who, in order to save her family, is forced to offer her body to this henchman in the town. And the third story… I think was probably closest to Marie’s own situation. It’s about a group of poets in hiding and it also gives a clue about how people might be writing under the types of circumstances Marie was in. She had a group of writers who met at her house regularly to read each other’s work which was somewhat similar to the group in hiding in the book. But, this story takes everything further. One of the wonderful things about her work is that she also writes so exquisitely, so beautifully. So you can also take out the political context, which I must admit is virtually impossible – but even if that part of the work is of little interest to you, you can just enjoy her prose. But there was enough of a sense of protest in her book that it was deemed dangerous to the people in power. Marie eventually decided to go into exile in the United States for her own safety and that of her family. She continued to write there until she died of brain cancer in her 50s. Love, Anger, Madness is her big book, if you will, the one she’s best known for. She was among lots of writers in Haiti who either had to go into exile or ended up in prison. Yes, especially at the time of the dictatorship. One of the other writers on my list, Jacques Stephen Alexis, was ambushed by Duvalier’s henchmen coming back from abroad and he was killed and his body was never found. So there was a good reason for a lot of these writers to fear. 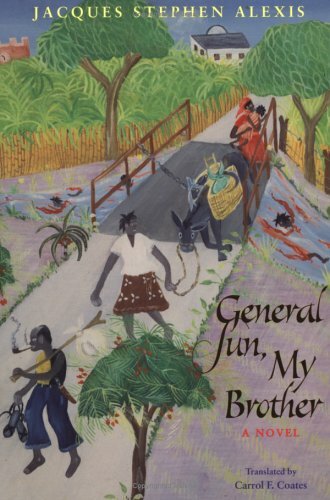 Let’s talk about Jacques’s book next – General Sun, My Brother. 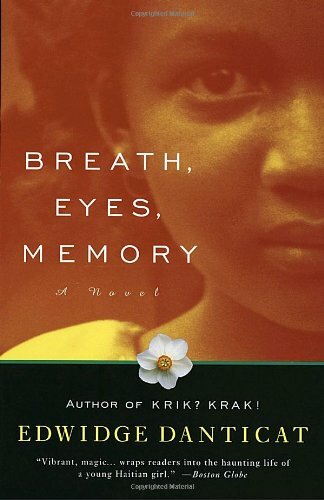 This book is about a massacre of Haitian cane workers in the Dominican Republic in 1937. It tells the story of this man who has just got out of prison and leaves to go to the Dominican Republic at the time when this massacre is happening. It is a beautifully written book with also a sense of the larger historical narrative. Part of it is set during the US occupation of Haiti so you have some of that history weaved in as well as what was happening in the Dominican Republic at the time. And you also have the journey of the man who crosses both countries. 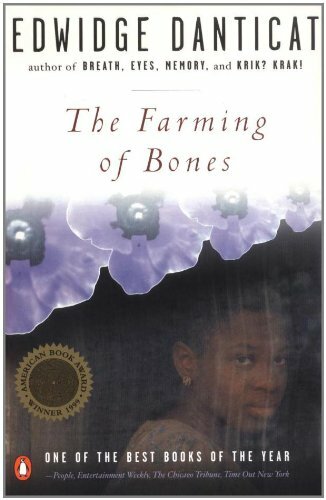 Actually, it is one of the books that I loved so much that when I started writing my own novel about the massacre of Haitian cane workers, The Farming of Bones, it was one of the inspirations for that. I thought that he did such an amazing job with his main male character that I wanted to do the same with a female character! What about Haiti’s relationship with the Dominican Republic – is it still a difficult one? Recently there’s been some rapprochement, since the earthquake. The Dominicans, because of their proximity, were the first foreigners on the ground to help and many Haitians ended up in Dominican hospitals after the earthquake. But slowly some old hostilities are creeping back, particularly due to the increased number of Haitians now in the Dominican Republic since the earthquake. (It’s estimated that the Haitian population in the DR has increased by 15 per cent since January.) Often when you talk to Haitians about the relationship between the two countries, unless they have more close personal connections, they will think about this massacre in 1937 and Dominicans often think of the years when the Dominican Republic was occupied by Haiti which was 22 years after Haitian independence. The leaders of Haiti took over the whole island in order to prevent the French from returning. And the Dominican Republic celebrates its independence from Haiti, not from Spain. So there is tension there and I think that, aside from the historical wounds, these tensions also arise from the economic disparities between the two countries and the fact that Haitians are, frankly, treated very badly there. Legally as well in that a family could be there for generations and have no avenues to get their papers. I’ve met people who can trace their roots there over 70 years, but they are not allowed to have Dominican birth certificates for their children. But maybe the response right after the earthquake is a sign that some healing is possible. Tell me about your next book, Jan J Dominique’s Memoir of an Amnesiac. 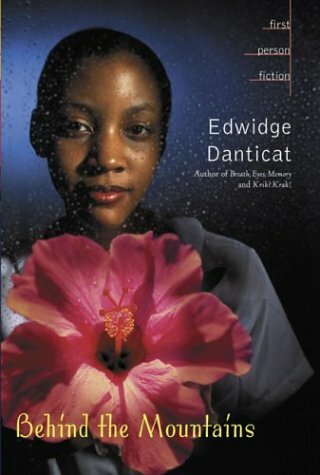 This is one of the Haitian novels I read as a teenager in the United States. I found it in the Brooklyn Public Library one Saturday and it simply blew my mind. It’s a fascinating stream-of-consciousness novel about a woman writer. It’s about her relationship to power and her relationship with her father and her eventual exile in Canada. So you hear about her experience of trying to silence herself, of her migration. 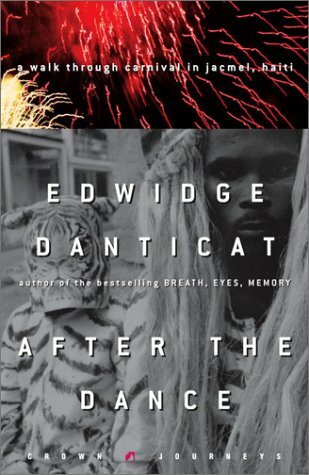 It is also a great book about migration and writers in and out of Haiti. It is written in this very different style which isn’t a formal narrative style but the prose makes you think, laugh, cry. It is one of those books that you find something new in each time you read it. Considering that you also left Haiti and ended up living in the States, did it strike a chord with you? Oh yes, even though the character was much older than me, certainly it struck a chord in terms of being about a young woman writer and also having this fear that people have when they migrate that they will forget everything. You are worrying about forgetting what is important, especially if you are leaving, not knowing whether you are going back. Forgetting is probably one of a writer’s greatest fears and she does a fantastic job of capturing the artistic essence of that. I feel like Haiti is always with me. The smells, the sounds, the tastes. Everyone says that, I know. But memory is a powerful thing and love is one of the things that keeps memory alive. That’s one of the themes of J J’s book. When I was little my parents always used to say: ‘We left Haiti, but it didn’t leave us.’ And we were always surrounded by Haitians and living in a Haitian neighbourhood, so that was our way of keeping Haiti with us. I live in Little Haiti now and when I look out of my window, I always see something that reminds me of Haiti. Of course, this place is its own thing, but one of the things that is extremely interesting about the immigration experience is seeing how people try to reproduce a part of their old lives in a new place, and, whether through our music, our art, our literature, Haitians try to do a bit of that everywhere we go. Obviously the earthquake is first and foremost in most people’s minds, but what do you think of when you think of Haiti? I think of it in a smaller and more manageable way. I see the faces of the people I know, I see the countryside where my grandmother’s house was. I see individual images rather than TV ones, even as people are dealing with the earthquake. I see the children in between the ten alleys. I see my friends, the young people who read to them in this wonderful group called Li Li Li. I just see folks. I hear voices, individual voices. You still have family living there. Are things getting easier for them? Is there a hope that things will change with the general elections? One can hope but I think a lot of people are weary. It will be a year soon. People need so much. There is a great urgency. We are not only electing a president here, but a whole government. Since the election is going forward, let’s hope that we have people with vision, with empathy, people who will not be able to ignore what is under their noses, that more than a million people are homeless, that half the children of the county are not going to school, that people are hungry and thirsty, that they cannot count on people’s resilience forever, that they need new ideas and new visions that will feed people, house and educate them and create humane and sustainable jobs. This is all urgent. It’s an emergency. It has not stopped being so since January 12, 2010. 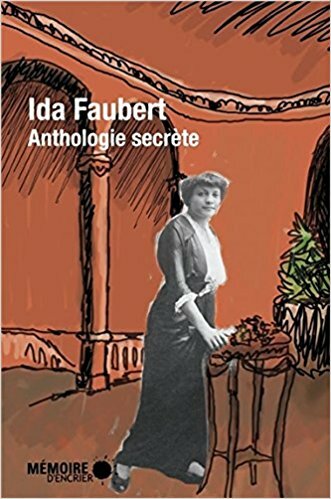 Tell me about your next choice, Ida Faubert’s collection of poems in Anthologie Secrète. This a rough translation and could probably be done better, but it gives you some idea. I am not doing her justice here, but I’ve always loved that verse. It speaks volumes for me about migration, being an immigrant, especially an immigrant writer. What about your last choice, Masters of the Dew by Jacques Roumain? This is the story of a peasant family whose son has been in Cuba working in the sugar cane, and he comes back and tries to reunite his whole village. It is almost a fable – I think of it as being like a Greek myth because he sacrifices himself to unite these warring families. He is in love with the daughter of the family his relatives are in opposition with. Eventually he dies but the woman he loves is pregnant and that son, we hope, will unite their families. Jacques Roumain wrote one of the first novels to be set in a rural setting and it was a huge success, I think because it is very rare that you have a novel that comes out of that milieu because of the limited opportunities that those people have to write about themselves. Still, he does his best and the novel portrays these people, people like my grandfather and those of his children who stayed in the countryside; it portrays them in a complicated way, as people facing very important problems. These people, who are essentially the majority of the population, are often marginalised. They are said to belong to the peyi andeyò, the outside country. They are often treated badly and neglected and never really part of the decision-making process, but here they are at the centre of the novel. The really amazing thing about this novel is that at some point it became almost like an oral story for this section of society. It was done as a radio play so people who were living in the countryside, even though they couldn’t read the book, would hear it and hear something of themselves in it. And it was even made into a film, so it enjoyed a huge success. It really permeated the consciousness of the country so much that it went back to the people that it was about. People even call their children the name of the main characters, Anaïse and Manuel. Can there be a greater compliment offered to any writer?